Cables can often become tough to work with as it gets tangled every now and then. Therefore, Cable containment is a great way to organise the cables for managing them properly. 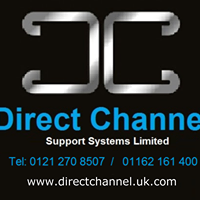 Direct Channel has a wide range of cable trays in all sizes with suitable bends and brackets. They make these products using pre galvanized British steel. They also have huge stock for next day delivery service.